MetTel’s onboarding process was seamlessly executed, guaranteeing continuous uptime, which was critical to the restaurant chain. Positioning an onsite crew to audit inventory, MetTel exposed all inessential and vulnerable services for decommissioning. 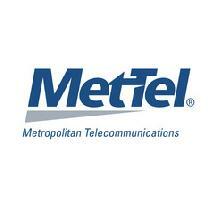 MetTel then migrated the Restaurant chain’s business lines, optimizing service and strategically selecting providers for each of the 150 locations, while managing residual contracts. To facilitate savings and stabilize monthly service charges, MetTel implemented a rate-lock protection plan, ensuring that tariff increases did not affect the cost to the client. To better gain control of usage and spend, MetTel consolidated all of BJ’s lines into a single user-friendly portal.